For many women and girls in Pakistan and India today, having a period is seen as a shameful thing. The taboo around menstruation is such that, according to 2010 figures, 23 per cent of women drop out of school permanently when they start their periods. Now a group of female students at university in Lahore are trying to fight this taboo. The six women, who study at Beaconhouse National University, have been pinning sanitary towels to the walls of their college, bearing slogans such as “periods make us hornier” and “I’m not flawed or poorly made”. They also staged a performance piece in which they daubed red paint on their white kameezes (a traditional south Asian garment) to mimic menstrual bloodstains. Their move comes months after a group of women in India launched a #HappyToBleed campaign in response to the announcement from Sabrimala temple chief Prayar Gopalakrishnan that he wanted a machine capable of scanning menstruating women. 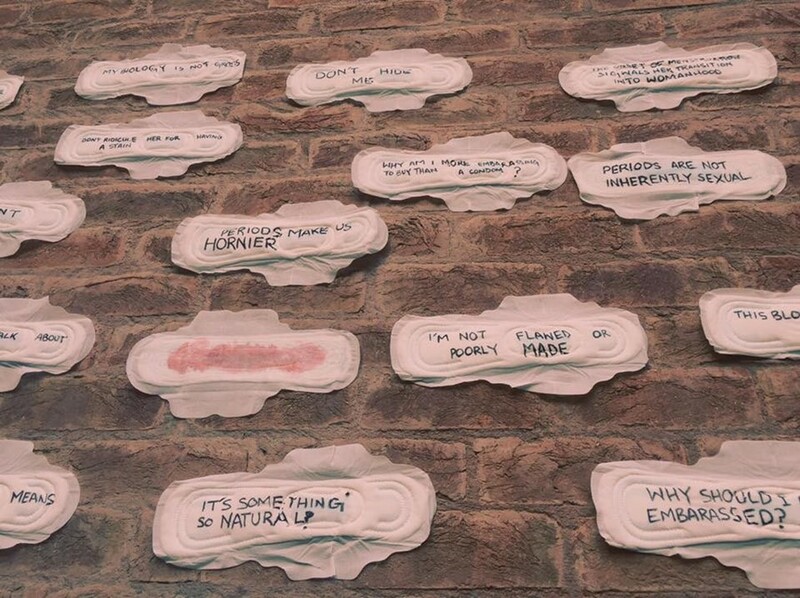 The campaign has generated a positive reaction on social media, with many applauding the students for the imaginative way they’re challenging Pakistani cultural attitudes towards menstruation.